The Fourth Great Ninja War rages on, and danger comes from every angle. Old comrades and enemies have risen from the grave under the control of Kabuto to fight the Allied Forces. While some retain their calm, others must wrestle with their emotions. 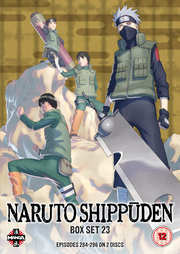 Naruto's training has made him more powerful, but some believe his possession of the Nine Tails makes him a liability. Can the Allied Forces survive assassins and their reanimated friends to win the war?